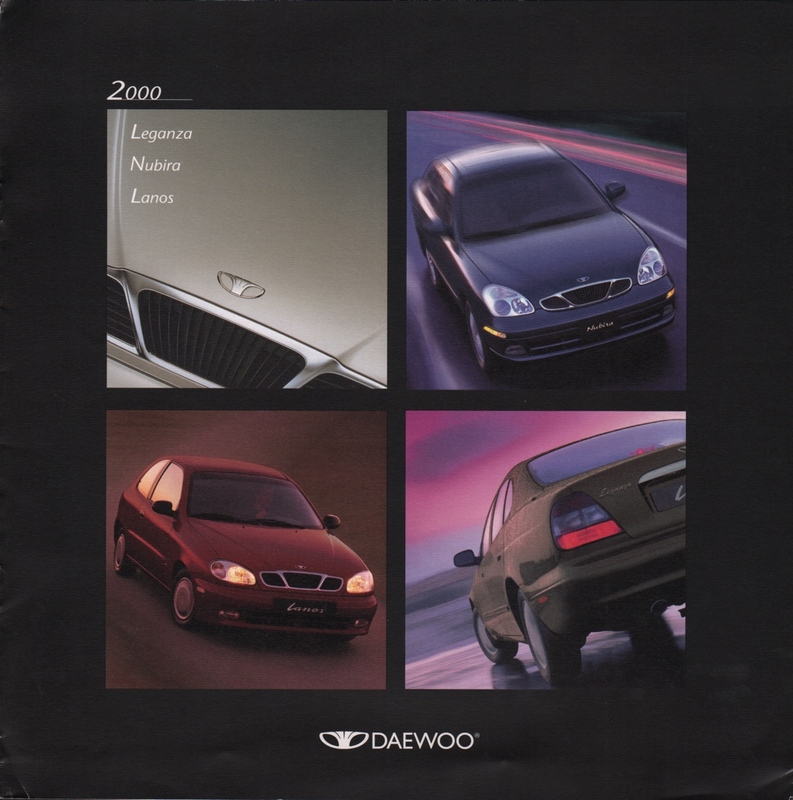 Sales brochure for the 2000 Daewoo featuring the 131hp 2.2L Leganza, 128jp 2.0L Nubira, and 105hp 1.6L Lanos. Exterior colors are listed as Galaxy White, Azurite Blue metallic, Deep Bluish Green metallic, Olive Silver metallic, Midnight Blue, Spinel Red, Granada Black metallic, Poly Silver metallic, Brighton Gold metallic, Pacific Blue, Sherwood Green, and Red Rock. Brochures are presented for research use only. Company marks, emblems, and designs are trademarks and/or service marks of Daewoo.